Our days are rarely perfect. We clash with coworkers, fight traffic, experience loss, the list goes on. And when things turn sour, we often turn toward the things that make us the happiest. Family, friends, and food often rank high on the scale. For many of us, comfort food is where our minds go. But what is comfort food? Simply put, it’s food that makes us feel better. It’s Mom’s chicken soup. It’s mac and cheese, a steaming bowl of grits or oatmeal, and grilled cheese sandwiches. 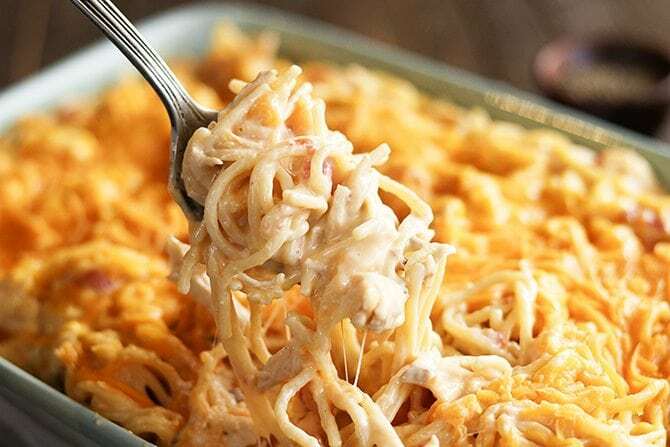 Comfort food is made up of dishes that hold memories for us. 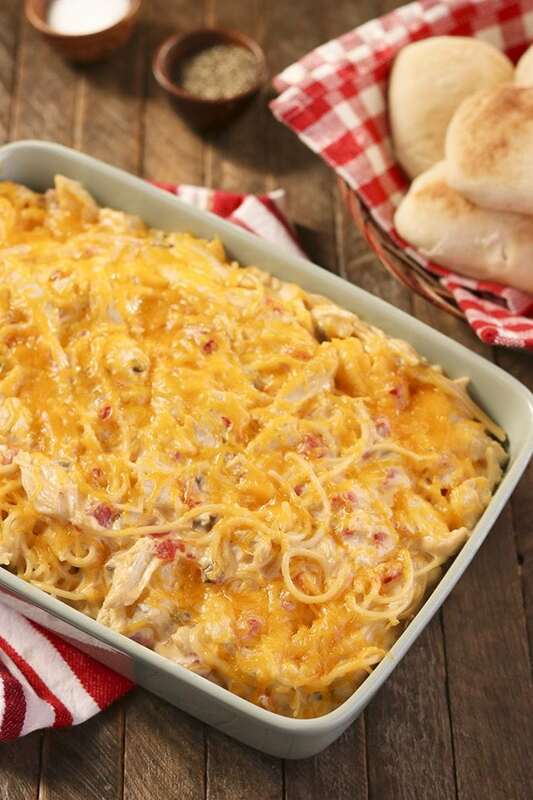 Comfort food makes us happy. With the loss of our sweet family pet recently, comfort food has been on the menu a lot at the Little household. Sometimes a hearty stick-to-your ribs meal is just what the heart wants. Yeah, yeah, calories… blah, blah, blah, but still. Calories don’t count when your heart hurts, right??? 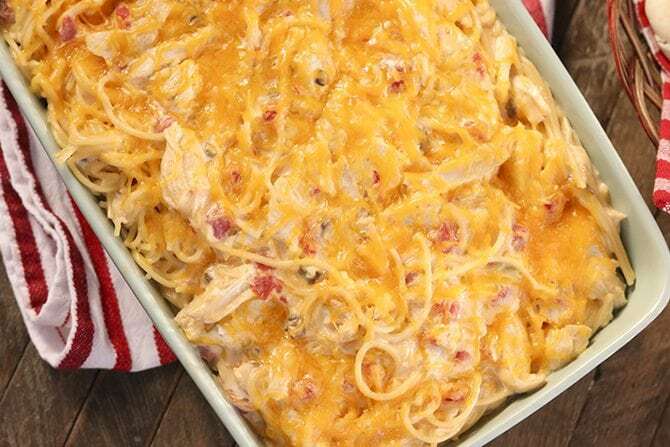 For me, one of my favorite comfort foods is the classic chicken spaghetti. You know which one… Velveeta Cheese and Ro*tel tomatoes. Yep. That one. I just love the stuff. 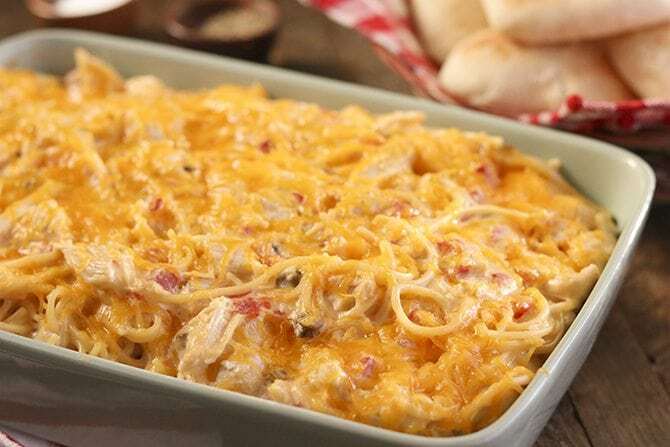 And that chicken spaghetti made perfect sense when my friends at Family Dollar asked me to show y’all my favorite comfort food dish. It’s funny because we live out of town a little and the closest thing to us is our Family Dollar store, so I always go by there to grab things for supper. You’d really be surprised at the selection if you haven’t been in one recently. They’ve got all the staples covered, and as you can see by this recipe, a whole lot more. I got everything for this recipe including the frozen chicken breast and the spices! 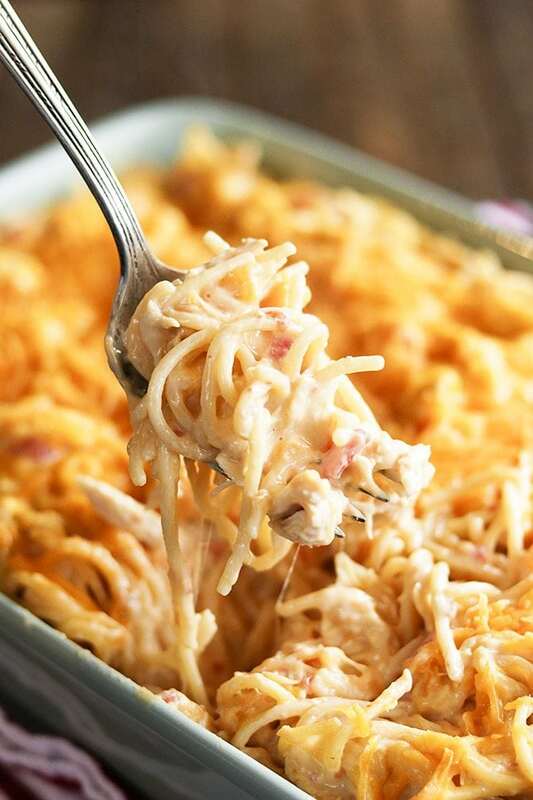 There’s just something about this gooey, cheesy pasta with just a hint of spice that takes me back to my childhood. It’s probably one of my all-time favorite dishes. One bite and I’m instantly taken back to my parents’ worn oak dining room table. My spot was down at the end of the table and there was a bare spot where I spilled some nail polish remover one time trying to get a label off something. They still have that same table and though Dad has worked to repair it, you can still see a little bit of the spot where I used to sit. I love sitting at that table now and thinking about all the happy times we have spent around it. And I just love that this recipe makes a lot. When it’s just the 3 of us, I’ll divide it into two dishes and either freeze or share the extra one with my parents. And then there’s the leftovers! In fact, I’m wishing I had some right now! 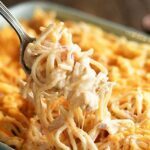 0 Response to "Ultimate Chicken Spaghetti"